If you are a novice in the cooking world, or just simply want to try something different, you need to try the SimplyCook box. Trial your first box for only £1 and if you like continue with the subscription. 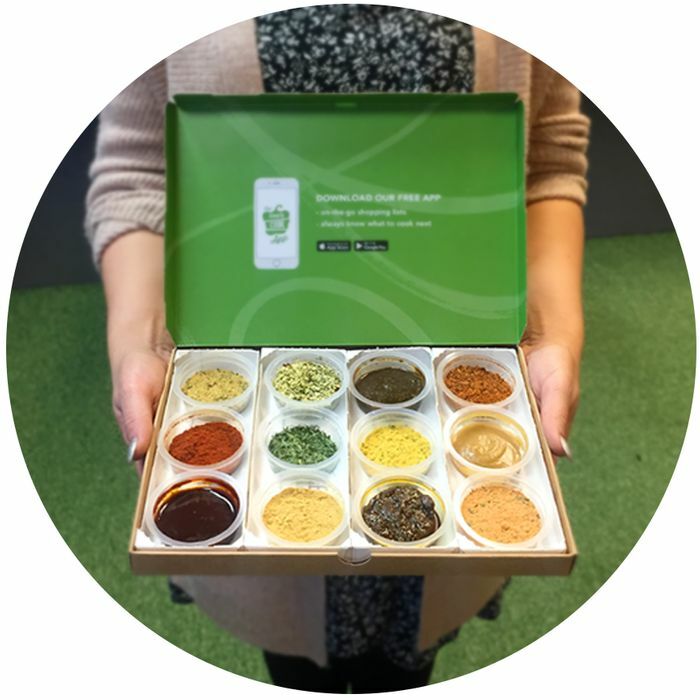 With Simply Cook, you get all the ingredients along with easy to follow recipe cards straight through you letter box in a neat and compact mail size box. All you need is the rest of the protein or veg depending on what you are going to cook, follow the step-by-step recipe, add the flavour pots and you will have a delicious restaurant quality meal in no time! I think it is a perfect way to try different dishes especially if sometimes you do not know what the spice or flavour ingredient is that you are looking for and saves time standing at the spice isle at the supermarket! Trial box costs only £1 after which the normal boxes cost £9.99 each and contain four kits to help you cook four delicious meals. You can choose what goes in the box according to the recipes that you choose for 2 or 2-4 people. You can also cancel at anytime so you are in full control. “I'd tried similar services from companies that send you ALL of the ingredients but found them quite expensive overall but SimplyCook is perfect. Mailbox sized deliveries that enable you to make fantastic meals with the minimum amount of effort using ingredients you've proabably already got in....."
What do you think of this Simply Cook deal? These are great but I wouldn't pay for them more than £1 so you need to remember to cancel your free trial! Ahh I meant to send off for this a while back,. & been threatening to do it ever since So Thankyou AGAIN For Another great deal nemosays And for the reminder Much appreciated!! Oh And this will come in handy for the Vacuum Sealer Deal you posted "YES"!!! topcat1771 omg yes.. what you don't end up eating, you can bag it and seal it! hahaha and you're welcome! Wow this looks fantastic and a great way to try it out for the first time at this price. Thanks so much for sharing. But you have to supply the fresh ingredients !! But you have to supply all the fresh ingredients !! But it’s up to us to supply all the fresh ingredients !! The Simply Cook kits are available to buy in Sainsbury’s and there is cashback on Checkoutsmart still. Are these slimming world friendly? They give you 20% off for life (£7.99 a month) when you try and cancel.